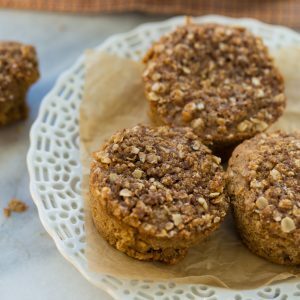 These muffins are one of the first things I baked after finding out I had to eat gluten-free. 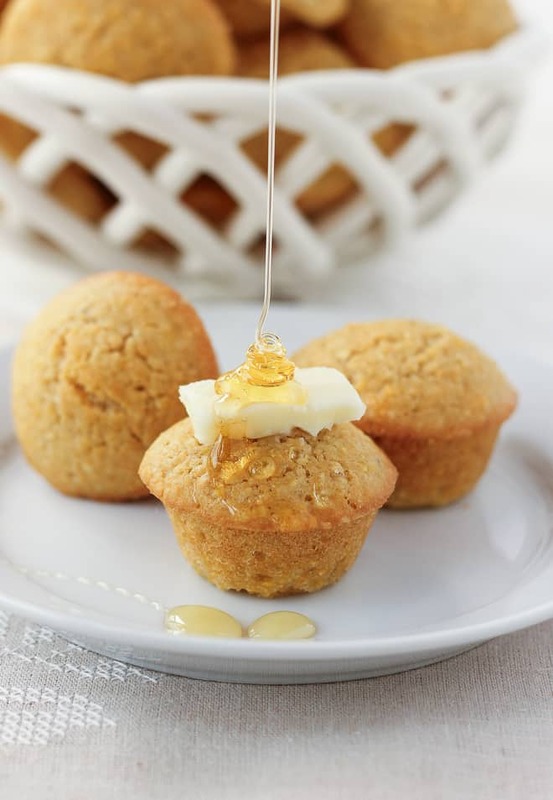 I have always been a cornbread lover, and making these muffins gave me confidence that living a gluten-free life could be delicious! I have made them many times since and adapted the ingredients to some of my favorite flours. The original recipe comes from the blog With Style and Grace. She has awesome gluten-free recipes! I love that these muffins are mini! They are perfect for parties and delicious with soup and chili this time of year. They would also be lovely for Thanksgiving. I am thinking of turning these muffins into some kind of cornbread stuffing. 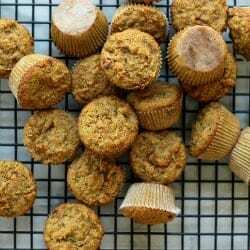 These muffins have a delicious texture and are really simple to throw together. They are tender and moist with just the right amount of sweetness. I wouldn’t want to live in a world without cornbread! Preheat the oven to 400F. Grease a mini muffin pan or line with mini liners and set aside. In a medium bowl, combine the cornmeal, brown rice flour, arrowroot powder, baking powder, salt, and sugar. In another bowl whisk together the eggs and almond milk. Whisk in the butter. Scoop the batter into the prepared muffin pan. Bake for 16-18 minutes or until a toothpick inserted into the center comes out clean. Enjoy! 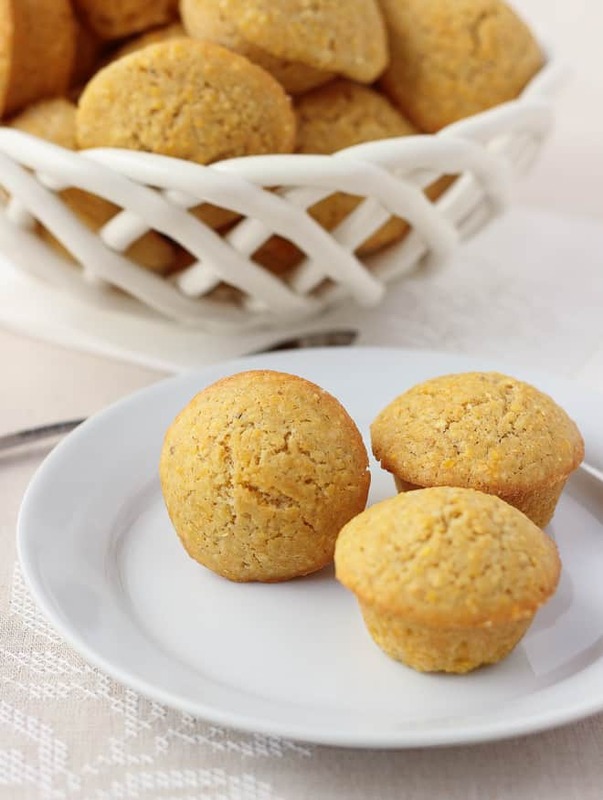 This Gluten-Free Cornbread from What the Fork looks amazing! Erin, I just saw this picture on foodgawker and didn’t know it was yours, but started drooling over it. Beautiful! I love corn bread with honey and butter on top. 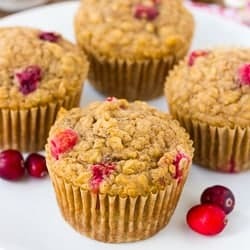 These muffins look so delicious! I made these this morning. They were yummy, except they stuck to the muffin papers. Since they were mini-muffins, by the time I peeled off the paper there was only one bite left. I’m not sure if you have tried them with papers before, did yours stick too? I’ve never made them with liners before! They usually work great without liners. If you spray the liners with some cooking spray before putting the batter in I think that would help. Sorry about that! I would like to make these today for some friends of ours who are gluten-free, but I don’t have any arrowroot powder. Is there a substitute that you can suggest? I heard something about a combination of a flour and cornstarch… Thanks! You can substitute tapioca or potato starch. Cornstarch will work too! I would just do a 1:1 substitution with one of those. They worked out very well and our friends loved them! Thanks so much! I don’t know what went wrong, because I followed all ingredients & directions. My batter turned out more like pancake batter. Once baked, the little muffins looked like crumpets on top, the popped bubble look. Volume wise, my batter produced 35 mini muffins. Not a clue what I did. They taste good, so I’ll at least have a delicious pancake batter if it goes the same next time! I am baking cornbread muffins for a large event. I only bake gluten free and dairy free so this recipe looks easy and delicious. I am allergic to rice, what would make a good replacement? You could try sorghum flour or oat flour in place of the rice flour. That should work great!